Cartridge World will positively impact our planet by keeping almost 9 million ink and laser printer cartridges out of landfills this year! Rather than throw their ink and laser printer cartridges away and pay full price for a new one – we empower our customers by giving them the choice to recycle their ink and laser printer cartridges at about half the cost. HELP LEAD THE REFILL REVOLUTION! 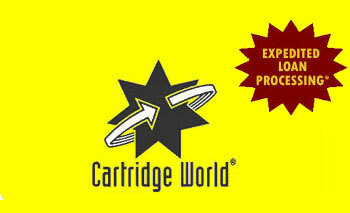 Cartridge World is the world leader in printer cartridge refilling and remanufacturing. Our customers love us! They can THINK GREEN while saving lots of money when they refill their printer ink and laser printer cartridges at Cartridge World. Quick, can you name our competition? We didn't think so. 13th fastest growing franchise in the U.S. When You Own a Cartridge World Franchise, Everyone Wins! We Provide the Support You Need! Be Part of an Expanding Multi-Billion Dollar Industry! Refilling ink and laser printer cartridges has become a rapidly growing industry and Cartridge World leads the pack. In the U.S. alone, approximately 140 million printers use an estimated 400 million ink and laser printer cartridges every year. Growth of our services is forecast to come from many different user groups, including business accounts, small office / home office users as well as home users. An Opportunity to Join the Global Economy Today! Cartridge World is serious about leveraging its position as the global industry leader to expand its reach in domestic and international markets. We are seeking qualified applicants to open a Cartridge World franchise in the U.S. and Canada as well as other international locations. We welcome the opportunity to talk with you about the market potential in your area. Just fill out this short form and we'll be in touch! 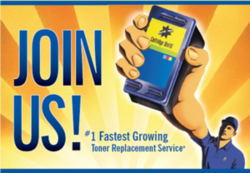 Click on Request Information for FREE info on how to open a Cartridge World franchise today! Please Note: This Cartridge World franchise opportunity and other franchise business opportunities, businesses and franchises for sale on this web site are not to be considered as an "offering", "franchise offering", suggestion or recommendation by Franchise Leader™. This advertisement depends entirely on the truthfulness of the information provided by our advertisers which includes, but is not limited to, franchisers, franchise brokers, franchise consultants and business brokers. Franchise Leader™ recommends that you consult a lawyer, financial consultant, accountant or professional advisor before buying a franchise or business opportunity or any type of business. By using this form or any part of our website, you have agreed to all terms and conditions of Franchise Leader™. Please review our Terms & Conditions for more information.